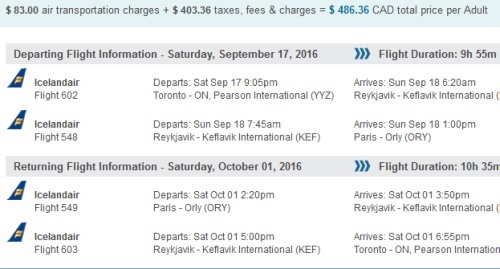 Icelandair has dropped the price of their fall 2016 flights from Toronto to Paris, France down to $476 CAD roundtrip including taxes. It's also possible to visit *both* Paris and Iceland on the same trip for $10 more. 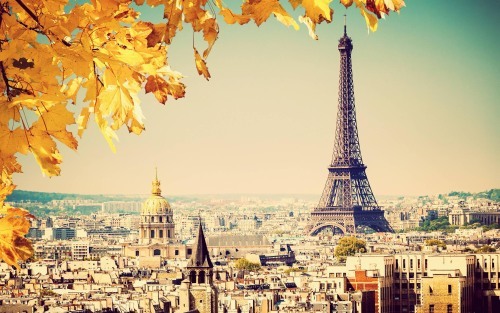 September would be the most ideal of these months for a trip involving both Paris and Iceland. 2. Try other date combinations. Here are some other examples that work out to $486 CAD. Update 9/6 - The Icelandair flights from Toronto to Paris for $480 CAD roundtrip including taxes are now available for travel in January, February, and March 2017. There's also a few dates in late April and early May 2017 for similar prices with Aer Lingus. 2. Click on the departure date box to look for other dates. For longer trips, or other months, try Friday to Thursday to Tuesday dates between September 2016 and March 2017.
toronto, yyz, europe, northern europe, western europe, paris, france, cdg, icelandair, iceland, kef, nordic countries, copenhagen, denmark, cph, scandinavia and ory. 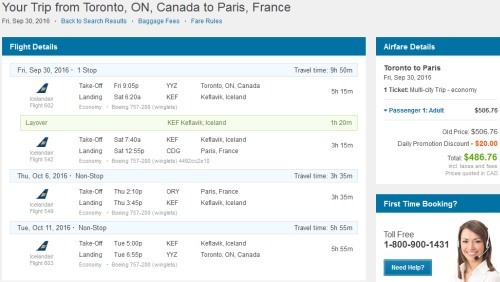 6 Responses to "Toronto to Paris, France - $476 CAD roundtrip including taxes | add Iceland for $10"
Question I have do I need to confirm seat with airline. How . Once you've received a booking reference you can go to Icelandair.ca and click on 'My trips' to confirm your booking was made with the airline. What is the refund policy if I buy it now and cannot make it in October? Icelandair offers optional cancellation protection insurance at the time of booking for $25. It looks like a medical certificate from a doctor is required to obtain the refund if you purchase this insurance. This deal is no longer available with the stopover in Iceland. If anyone is able to confirm differently, please post here with screen shots. Thanks! Booked France for early October, unable to get affordable stop over in Iceland. Ahh Disappointment.